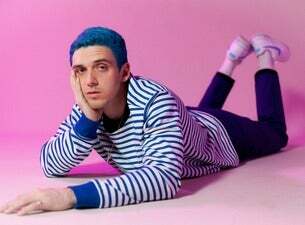 Platinum-certified independent singer, songwriter, producer, and pop visionary Lauv announces "~how i'm feeling~ (autumn tour, 2019)." The 19-date city run is set to kicks off in October in Washington, DC, before visiting the rest of the US, UK, Europe, Australia. His date in the UK takes place in November at the O2 Forum Kentish Town in London, with special guest Chelsea Cutler opening he show. The ~how i'm feeling~ tour announcement follows on the heels of Lauv’s latest smash hit single, “i’m so tired…” with Troye Sivan. In just weeks, the single has accumulated over 175 million streams.